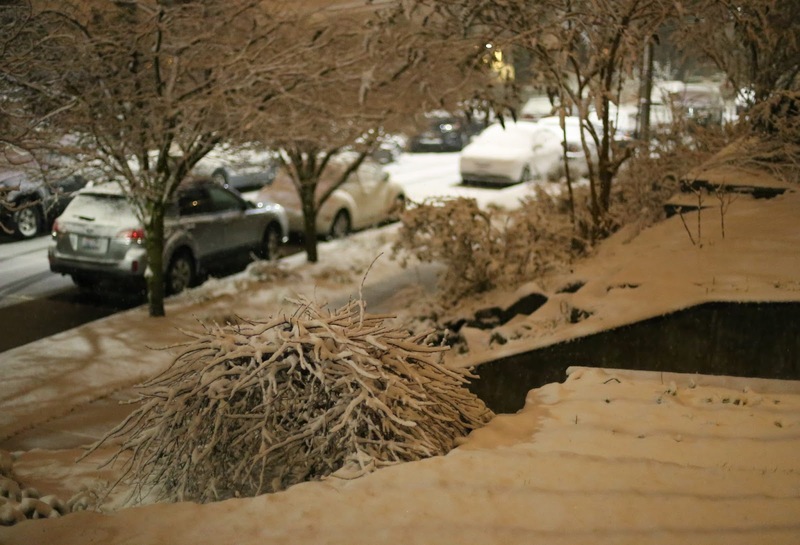 Unlike in Colorado, snow in Seattle is wet, heavy, and fleeting. This February snow was gone by midday the following day. My overwintered garlic is sleeping soundly in the bed in the right foreground.